In his prime, few players were more fearsome than safety Ed Reed. On this date in 2006, the Ravens rewarded Reed with a six-year, $40MM contract, making him the highest-paid player at his position in league history. The previous league-leading deal for safeties belonged to Adam Archuleta, who inked a six-year, $30MM deal with the Redskins in March of ’06. Reed blew past him on a rocket ship, and for good reason. Reed became a starter as a rookie in 2002 and quickly cemented himself as a key cog in Baltimore’s defense. He notched 21 interceptions in his first three seasons and led the league with nine picks in 2004. Although he was held back by an ankle injury in 2005, the Ravens saw a Reed as a multiple-time Pro Bowler who was ready to get back to his old form. Indeed, the Ravens were right. Reed came back in a big way in ’06 as he started in every game and tallied five picks, plus two in the postseason. He earned Pro Bowl nods in every season from 2006 through 2012 and picked up four First-Team All-Pro nods in that span. Reed earned his first ring in the Super Bowl following the 2012 season and notched his ninth career postseason interception in the big game. Although he was still productive, Reed and the Ravens went their separate ways in the offseason. Reed signed a three-year, $15MM deal with the Texans, but that deal was terminated midway through the ’13 campaign. He reunited with Rex Ryan by signing with the Jets, but he was unable to turn back the clock. After sitting out the 2014 season, Reed signed a one-day contract with Baltimore so that he could retire a Raven. Reed’s final season on the field was forgettable, but the extension he signed with the Ravens in 2006 proved to be a win-win for both sides. Reed cashed in and gained financial security in a violent sport, and the Ravens got elite level production out of him for the majority of the deal. In 2015, the Bills played the majority of their snaps in a traditional 4-3 scheme, but this year, coach Rex Ryan promises “multiple” defensive fronts (Twitter link via Vic Carucci of The Buffalo News). Ryan said that the “entire organization believes in Tyrod Taylor, there’s no doubt,” (link via Mike Rodak of ESPN.com). However, he says that any extension would need to be in best interest of both parties. “Right now it’s probably hard to bring those two things together with our cap situation,” he adds. This week, Taylor’s agent opened up to Carucci about the ongoing contract talks and noted that the league’s “31 other teams” have been paying close attention to the quarterback. When asked about the agent’s comments, Ryan replied, “The agent’s probably the most disappointed, but there’s a football team to run,” Carucci tweets. Ryan said that he would “love” to have Percy Harvin back and the team would welcome him back “with open arms,” (link via Carucci). On Monday, GM Doug Whaley said that Harvin was still deciding between playing and retiring, though he “heard” that the wide receiver was leaning towards playing. Ryan said Seantrel Henderson‘s health is getting better and his weight is coming back (link via Rodak). The right tackle finished last season on the non-football illness list after reportedly being diagnosed with Crohn’s disease. Ryan feels that new Bills assistant Ed Reed could become a head coach in five years (Twitter link via Tom Pelissero of USA Today). The Bills announced that they have hired Ed Reed as an assistant defensive backs coach. Reed, a nine-time Pro Bowl selection and five-time First Team All-Pro, will be making his first foray into NFL coaching. Reed, 37, played under Ryan for two different teams. The former free safety first played under Ryan in Baltimore where Ryan served as the defensive coordinator from 2005-2008. Ryan and Reed then reunited in New York in 2013 when the Jets signed Reed in his final NFL season appearing in their last seven games. Reed has not played in the NFL since 2013. The veteran signed on with the Texans for that season after playing his first eleven years in Baltimore but he didn’t look like the No. 20 of old. After losing his starting job in Houston, he was released in November, and signed by the Jets. He finished the season with 38 tackles and four interceptions, grading as the league’s 30th-best safety per Pro Football Focus. Despite how things turned out for him that year, Reed made it known that he was still hoping to play in 2014. That opportunity, however, never materialized. THURSDAY, 1:09pm: Reed officially signed a one-day contract with the Ravens today, retiring as a member of the team (Twitter link). WEDNESDAY, 7:07pm: After a 12-year career, Ravens safety Ed Reed has decided to walk away from the game, as Ryan Mink of BaltimoreRavens.com writes. The Ravens and Reed will hold a press conference tomorrow morning to formally announce the news. Reed, of course, has not played in the NFL since 2013. The veteran signed on with the Texans for that season after playing his first eleven years in Baltimore but he didn’t look like the No. 20 of old. After losing his starting job in Houston, he was released in November, and signed by the Jets. He finished the season with 38 tackles and four interceptions, grading as the league’s 30th-best safety per Pro Football Focus (subscription required). Despite how things turned out for him that year, Reed made it known that he was still hoping to play in 2014. That opportunity, however, never materialized. Over the course of his career, Reed earned a whopping nine Pro Bowl selections and eight All-Pro nods. After the 2012 season, Reed finally got to host the Lombardi Trophy after helping the Ravens win the Super Bowl. Last year, Reed, referenced Barry Sanders in saying that he could choose to abruptly retire without any fanfare. The safety didn’t go the Derek Jeter route towards retirement, but it sounds like he is allowing himself a proper sendoff. As we previously heard, linebacker Brandon Copeland has received interest from multiple teams following his performance at the Veteran Combine. “My phone’s been ringing,” he told Aaron Wilson of The Baltimore Sun. “It’s been pretty good so far. I’m not going to say what teams, but four teams have offered me contracts so far. It was definitely successful for me to go to the veteran combine.” Among the teams showing interest in Copeland are the Lions, Eagles, Bengals, Chiefs, Colts, Giants and Titans. Meanwhile, Eric Branch of the San Francisco Chronicle tweets that the 49ers are not among the estimated 13 teams to have shown some level of interest in Copeland. ESPN.com’s Paul Gutierrez says the 49ers haven’t had any conversations with wideout Brandon Lloyd. He notes that the team previously has little interest in bringing back linebacker Desmond Bishop, but he acknowledges that the mindset may have changed following the roster overhaul. Some have drawn comparisons between the Texans signing of Ed Reed last offseason and their addition of free agent Vince Wilfork this year. Texans owner Bob McNair recognizes the difference, however. “I think the difference is when you have someone at a position where they have to be able to run, then age is more of a consideration,” McNair told ESPN.com’s Tania Ganguli. “We thought Ed was in good shape and was going to be able to come down and play and he was a big disappointment. At nose tackle, you don’t have to run that much. He’s got to be strong. So there’s some positions you can play for more years and you aren’t taking as much risk. The Ravens have had incredible struggles in the secondary, and that group only got worse as Jimmy Smith was officially moved to the IR. With their rival Steelers bringing legends James Harrison and Brett Keisel back into the fold to sure up their defense, Ravens fans have been left wondering if Ed Reed could be an option for a unit that could use some help. There is no chance the team brings Reed back in any capacity other than on a one day contract to retire as a Raven, writes Jamison Hensley of ESPN.com. He writes that Reed showed nothing on the field last year, either with the Texans or the Jets, and that he would no longer inspire fear roaming center field at free safety. He adds that bringing him back as a coach or a motivator would be a bad idea, as Reed had become a headache for the team towards the end of his tenure in Baltimore. In his mailbag, Hensley also addresses how the recent purge in the secondary will shape up for the team, how linebacker Arthur Brown is progressing within the defense, and the positions of interest the team should focus on in free agency and the 2015 NFL Draft. Offensive tackle Jah Reid underwent surgery on his broken hand, according to Aaron Wilson of the Baltimore Sun (via Twitter). Whether or not Reid will return at some point this season has not been decided as of yet. With Jimmy Smith done for the season, there are questions as to whether the Ravens will be able to stop any legitimate quarterbacks the rest of the season. Brett Foote of EbonyBird.com examines what the team can do to survive the season so thin in the defensive backfield. The team only has five interceptions on the season, and Smith is the only member of the secondary contributing to that figure. However, the team believes it could have the answer to improve that, and expects safety Will Hill to be the team’s top ballhawk now that is returning to the field, writes Garrett Downing of BaltimoreRavens.com. The entire Ravens’ backfield should get credit for the improved running game, write Bryan Stauffer of NumberFire.com. Bernard Pierce, Justin Forsett, and Lorenzo Taliaferro are piecing together a formidable unit that has been more productive than last year’s combination of Pierce and Rice. As Jeff Zrebiec of the Baltimore Sun tweets, Reed said today that he may “never” officially announce his retirement, so while we shouldn’t close the book on his career quite yet, it’s possible we’ve seen the veteran take the field for the last time. As the Browns await final word on Josh Gordon’s suspension, they’ve been proactive about lining up a support system and possible treatment for the wideout if he has to spend a significant amount of time away from the team, according to Mary Kay Cabot of the Cleveland Plain Dealer. According to Mark Maske of the Washington Post, the NFL is mulling harsher penalties for domestic abuse incidents, including potential season-long suspensions for repeat offenders. The move, which remains under consideration, is undoubtedly related to Ray Rice‘s modest two-game ban for a domestic abuse incident, and all the negative publicity that decision garnered. Two months after announcing his retirement from the NFL, Vince Young has accepted a job at his alma mater, with the University of Texas announcing today that the former quarterback will serve as a development officer for program alumni relations. Veteran free agent safety Ed Reed aims to play in 2014, he told reporters at Ravens cornerback Lardarius Webb‘s charity event. Jamison Hensley of ESPN.com, and Aaron Wilson and Jeff Zriebec of the Baltimore Sun were on hand to document Reed’s comments (all links go to Twitter). 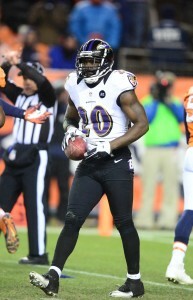 Reed, 35, signed with Texans before the 2013 season, having spent his entire career in Baltimore. After losing his starting job in Houston, he was released in November, and signed by the Jets. He finished the season with 38 tackles and four interceptions, grading as the league’s 30th-best safety per Pro Football Focus (subscription required). Reed said he is preparing as if he will play, but that doesn’t mean he will be attending training camp with any team. The veteran said he knows there are teams in the league that “need safeties,” and believes that he can still contribute. He also noted that he could see himself “being a part of [the Ravens]” if he does not play, presumably in a coaching capacity. Additionally, Reed, enigmatic as ever, referenced Barry Sanders in saying that he could choose to abruptly retire without any fanfare.